I’ve written about plenty of green things in the past, but never a green wallet. That ends today! 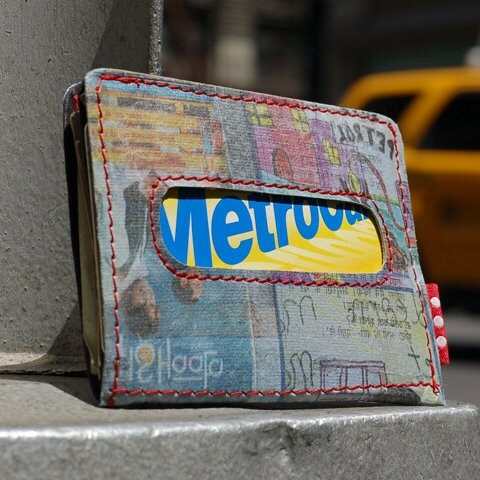 It’s called the Holstee wallet, and it’s made entirely out of recycled material from Delhi, India. Pretty neat, I think you’ll agree. It’s primarily made of recycled newspaper and plastic bags, again, from Delhi, India. The people who actually sew the wallet together are paid a “fair wage,” and also get subsidized healthcare for their entire family. That’s pretty huge. $25 for the wallet, and the feeling of actually having helped a few people out as well as the environment in the process.